Agent Jill Marr says she attends the Killer Nashville Writers' Conference every year for two reasons: the quality of the conference and to find new writers to represent to publishers. International attendees come to the Killer Nashville Writers’ Conference for numerous reasons: to network with U.S. law enforcement and forensic personnel, to find an agent or publisher, to learn new marketing and writing strategies, but uber literary agent Jill Marr returns to Killer Nashville every year to find new clients to pitch to publishers. When literary agent Jill Marr’s son was born, she took a five-year-hiatus from the business, but after he entered kindergarten, she was ready to jump back into the literary pool. 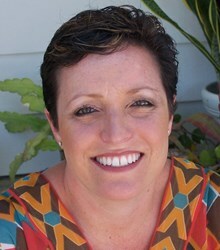 She found a job with the esteemed Sandra Dijkstra agency and began the search for new clients. Since she knew she wanted to focus on mysteries and thrillers, and recognizing writers’ conferences as ideal places to meet aspiring writers, she fired up her computer and began a search for conferences that specialized in crime fiction. One caught her eye: Killer Nashville, the most written about writers’ conference on the web. Since then, Marr has attended every Killer Nashville conference. Founder Clay Stafford says, “We don’t like to have the same agents over and over; we like to provide a variety, but we keep bringing Jill back because she keeps signing our people.” Most of those she has signed now have publishing contracts. Being in the Jill Marr stable is a great place to be. The Sandra Dijkstra Literary Agency handles such bestselling authors as Amy Tan, Lisa Lee, Kate White, Diane Mott Davidson, and Janell Cannon. Killer Nashville authors know they are in great company. The Killer Nashville Thriller, Mystery, and Crime Literature Writers’ Conference, held annually on the fourth full weekend in August, was created in 2006 by author/filmmaker Clay Stafford to bring together forensic experts, writers, and fans of crime and thriller literature. The conference draws attendees from as far away as Portmahomack, Scotland; Rome, Italy; and Hadano, Kanagawa, Japan. For interviews or more information: http://www.KillerNashville.com, http://www.ClaymoreAward.com, Contact(at)KillerNashville(dot)com, 615-599-4032.